It’s easy to get carried away in Europe’s mountain capital. Everything is super-scaled there, from mountains to egos and the party scene. Any similarities noticed between real people and the fictitious ones in this article are purely coincidental. What 30 things should you swot up on before dropping in? Steep skiers including Chamonix residents Ross Hewitt, Tom Grant and Dee O'Neill, plus their Scotland-based cousins Pete Mackenzie, Blair Aitken and Hamish Frost, offer their top tips. What skills do you need for off-piste skiing? Want to learn the most essential off-piste skills? Or perhaps you just need a quick refresh before your trip? Don't miss BMC TV's handy little series of three-minute videos starring IFMGA Mountain Guide Joe Vallone, as he demonstrates a number of crucial backcountry skills. A range of Chamonix's expert skiers offer their top tips to improve your off-piste: pro skier Ross Hewitt, Avalanche Academy Director and Mountain Guide Stuart McDonald, and off-piste skiing instructors Alison Culshaw and Dee O'Neill. What is the future of off-piste heaven La Grave? “Regarding La Grave there is a massive amount of misinformation, badly written articles resulting from poor research, and quite a lot of simple lies. Even Donald Trump would blush at some of the recent comments.” Sarah Stirling sorts fact from fiction concerning the future of the brilliantly backwards mountain village of La Grave. Think powder's only for pros? We've got five of Chamonix's Mountain Guides and off-piste skiing instructors telling you otherwise. To get you touring, they've come up with their favourite beginner ski tours in and around Chamonix. Forget cramponing down a death defying ridge before leaping over gaping crevasses – the Vallee Blanche is not what you might imagine. That said, it’s no pushover either; Charlie Boscoe uncovers the myths. Fed up of bank-breaking holidays but still yearn for powder? We offer some tricks of the trade for saving cash on ski trips. Craving off-piste skiing but want some help getting up? Here are five of the world's most epic - and lift-accessed - off-piste ski descents. Are you brave enough for Europe's five hardest black runs? Bored of blues? Relishing reds? It's time to step it up a gear. But are you brave enough for our top five hardest black runs in Europe? Ski on - if you dare. 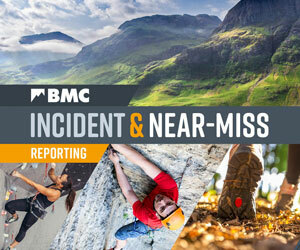 BMC Youth Climbing Series 2019 Everest: facts and figures Mountain tiger: a tribute to Tom Ballard Dangerous crampons being sold online How will Brexit affect travel insurance?